I've always liked ultraportables. Back when I was in college I kept buying increasingly more portable notebooks until I eventually ended up with something horribly unusable for actual work. When Apple introduced the first MacBook Air back in 2008 I fell in love. It finally stuck a fast enough CPU in a small enough chassis and gave me a full sized keyboard to type on. I was set. Last year Apple introduced the first major update to the MacBook Air, bifurcating the lineup with the first ever 11-inch model in addition to the standard 13. With last year's update the MacBook Air did so well that it actually started outselling the base MacBook. Apple isn't a fan of large complicated lineups so it retired the MacBook. If you want a portable Mac you can buy a MacBook Air or a MacBook Pro. 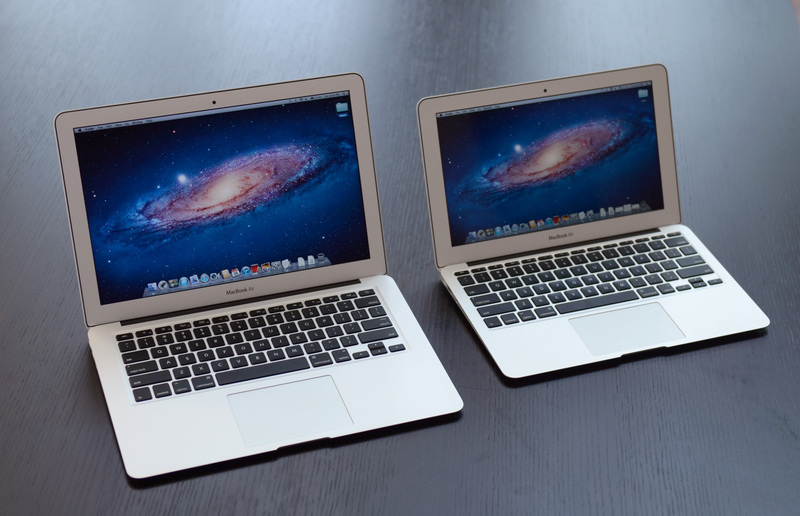 As the mainstream counterpart to the MacBook Pro, Apple had to do something about the performance of the MacBook Air. While last year's updates were great alternatives to cheap, underpowered netbooks, they weren't fast enough to be a mainstream computer in 2011. Last year's Air featured Intel's Core 2 Duo processors, based on an architecture that debuted in 2006. Intel has released two major architectures since then. If these systems look identical to the ones they're replacing that's because they are, at least from the outside. With the exception of a backlit keyboard, some differences in the row of function keys and a Thunderbolt logo, these babies look identical to last year's models. You shouldn't judge a (Mac)book by its cover, because the MacBook Air's internals are much improved. In your "2011 MacBook Air Lineup" table the "Cores/Threads" and "Base Clock Speed" categories are messed up. Thanks for the review. I am very interested in the 13" MBA as it's the only ultraportable I can find that has what I consider to be the ideal resolution for a laptop display with good performance and battery life (the thinkpad x301 is a close second but there's too much of a performance sacrifce there although I prefer the ports and features on the x301). "Apple has sold a USB 10/100 Ethernet dongle in the past for MacBook Air owners, but these days you can get better performance over good WiFi than you can from 100Mbps Ethernet"
I would like to see some testing that substantiates this claim. 2) That's probably for only one WiFi user with a good zero interference connection to the AP. Add another WiFi user (or ten ;) ) and the speed will drop. You're also not going to hit line speed on 100 Mbps networks without an optimal set of conditions. For everyday use (even with multiple users, etc), 802.11n is good enough and far easier to install a new network than 100 Mbps wired Ethernet.